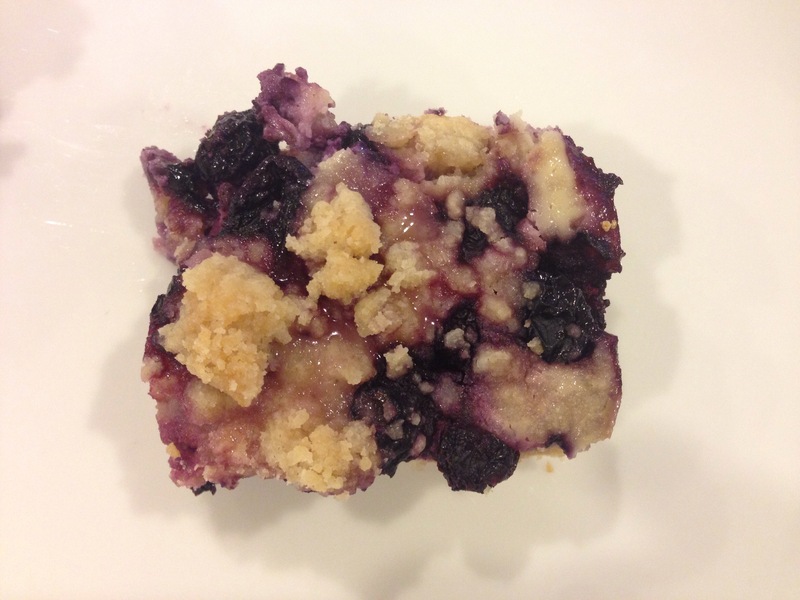 If you feel like doing a little baking this weekend, may I suggest these Blueberry Pie Bars? I wanted to bring something to our friends for watching Emmett while we were at the beach wedding (besides beer of course), and these were on my list of recipes I had been wanting to try! Of course I had to make a test batch for Ryan and I to try first. I used regular old frozen blueberries from Walmart which were surprisingly plump and delicious and the bars turned out so delish! Kind of a cross between a crisp and pie. McCleary approved!